Looking for another value-for-money smartphone? 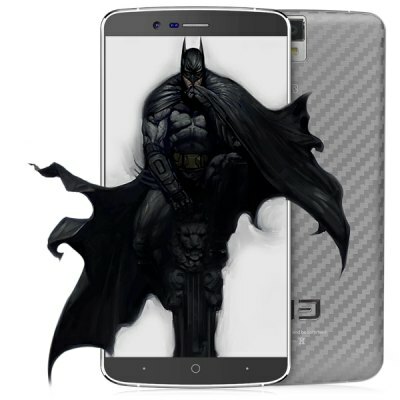 Check out the Elephone P8000 4G Phablet with 4165 mAh battery and Fingerprint sensor. Elephone P8000 is one of the exquisite looking phones in the international market. Just like any other Chinese manufacturer that we have featured before, the Elephone is also a highly capable Android smartphone gunned for the budget-conscious crowd. It breathes powerful specs on a better price standpoint. In terms of design, it does not depart from its predecessor's philosophy - a premium metallic band with a carbon fiber-like back panel that gives it a striking appeal. In its heart, the Elephone comes with a powerful MediaTek MT6753 which includes a 64-bit octa-core processor clocked at 1.5 GHz. And just like P7000, P8000 is framed with a 5.5-inch full HD display. This means that it packs 1080 x 1920 pixel resolution and 401 ppi pixel density. There’s also a generous addition of 3GB of RAM which definitely infuses faster app launching and smooth multitasking performance to the handset. Aside from the powerful drivers, the Elephone P8000 also comes with a juicy 4165 mAh battery which could technically give the handset longer mobility compared to its value-for-money peers. Plus, the addition of worldwide LTE compatibility gives the phablet another feather in its cap. For the camera buffs, the Elephone P8000 boasts a 13-megapixel rear shooter and 5-megapixel front-facing shooter for social media selfies. It is also worth noting that the P8000 also comes with a fingerprint sensor on its rear panel which is standard for most flagship devices to date. Of course, what’s even more appealing about the device is the fact that it is only priced at USD 169.99; but you can get it for a limited pre-sale price of USD 149.99 from one of the most trusted international sellers, GearBest.